Nothing is better than delicious food and happy hour pricing! 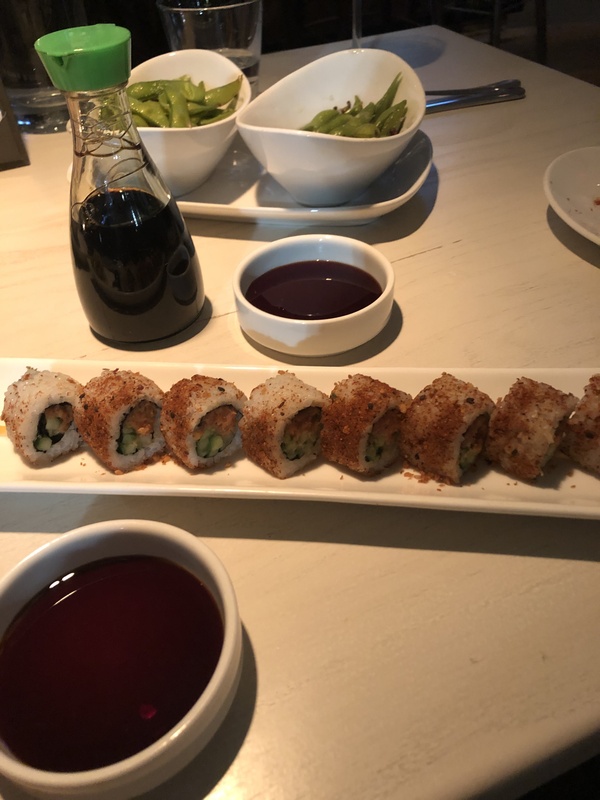 If you’re a fan of seafood with an Asian flair, you will enjoy West Coast Provisions, located in Short Pump at 301-A Maltby Boulevard, Henrico, VA 23233 (near Lidl and Mellow Mushroom). On a recent Wednesday evening, I met my friend Susan for happy hour. 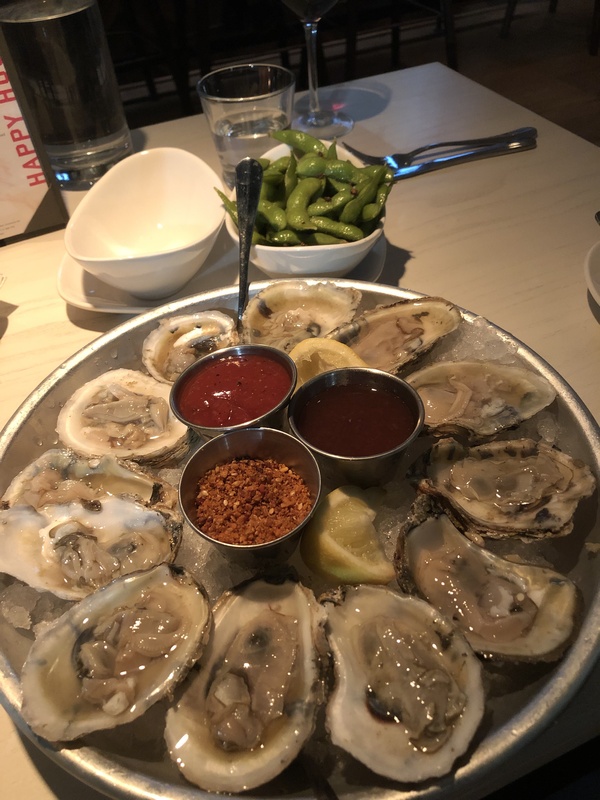 Both of us are big raw oysters fans and we were happy to find a happy hour special that included a dozen Chesapeake Oysters for $9. They also had wonderful happy hour deals on edamame, truffle fries, sliders (for those who are not a huge fan of the raw food), as well as great adult beverage prices too. In fact, click here to see the happy hour menu. To take advantage of the happy hour, seating is limited to the bar area. Not only do they have wonderful seating at the bar and bartenders who are happy to see you and super friendly, but they also have several booths that can accommodate larger groups as well. Susan and I enjoyed a dozen oysters, edamame, spicy tuna roll, and two glasses each of the Curator Red Blend wine. Our total bill was around $35, which we split in half. We were full and happy when we left. Happy hour pricing is available Monday through Friday from 3:30-6:30 pm. Unfortunately, there are no reserving tables in the bar area, but most days there’s seating. In sum, FIVE STARS for the food, pricing, and parking. THREE STARS to get out to Short Pump.